Original period publication. HB, Third Printing 1993, by Jerry L. Janzen, 258 pages of text and illustrations. 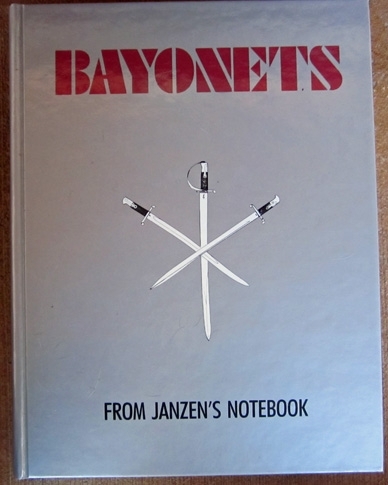 A classic reference on bayonets of the world. While other publications may perhaps be more scholarly, this bookis many times the firstI reach for when attempting to identify an unknown bayonet.Sound condition, light handling and wear.